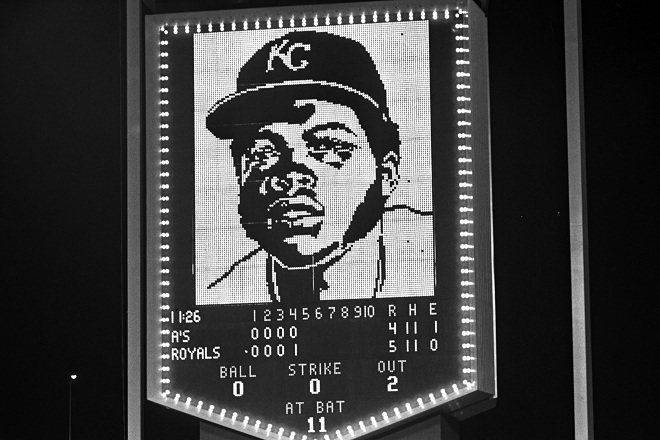 If you have been a fan of the Kansas City Royals for as long as I have been(or even longer), you are well aware that the teams they trotted out in the late 70’s and early 80’s were overloaded with talent. Sure, everyone knows about George Brett and Frank White. 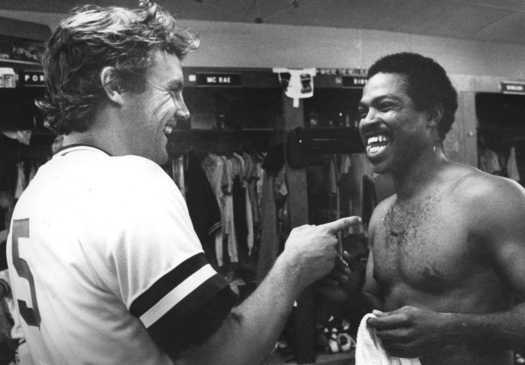 Most will have heard about Willie Wilson or Dan Quisenberry. 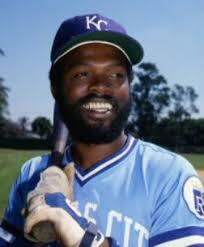 Real diehards will mention Amos Otis and Dennis Leonard as key players to Kansas City’s success. 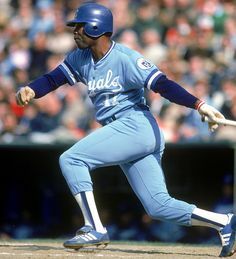 But a key cog in the Royals machine for most of those years(and a man who has always been taken for granted) was Hal McRae. In fact, it might be safe to say McRae and his hitting was almost as vital as Brett’s for a lot of those Royals teams. McRae’s professional career began in 1965, as he was drafted in the 6th round of the amateur draft by the Cincinnati Reds, the 117th overall pick. It’s hard to believe, but at one point Hal was a speedster, a center fielder that could cover a lot of ground. Before the 1969 season though, McRae suffered a multiple leg fracture in the Winter League and he went from being a player who could fly to just being of average speed. As much as the injury hurt his speed, what really hurt Hal in Cincinnati was the pool of talent the Reds were accumulating, a team that would soon be referred to as “The Big Red Machine”. The Reds at that point had an outfield of Cesar Geronimo(who would end up in Royal blue in 1981), Bobby Tolan and some guy named Pete Rose. With George Foster also in the picture, the Reds found McRae expendable and dealt him to Kansas City after the 1972 season. 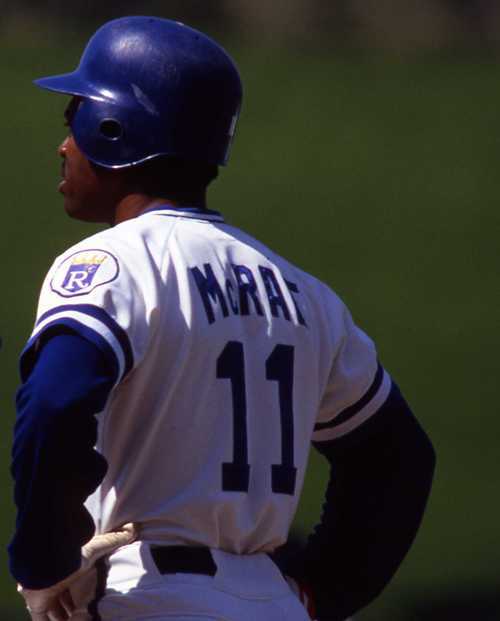 McRae didn’t instantly show Cincy that they had made a mistake, as he would struggle in his first season with the Royals, hitting .234 in 106 games. It’s safe to say though that the 1974 season was Hal’s coming out party. 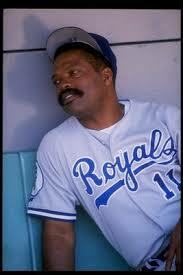 McRae would play in 148 of the Royals games, hitting .310 with an .850 OPS and a 3.9 WAR. McRae fit perfectly in the Royals lineup, a contact hitter who didn’t hit for a lot of power but got on base and drove in runs. Kauffman Stadium(at the time known as Royals Stadium) has always been known as a good park for gap hitters, and back in the 70’s it was even better with the artificial turf. McRae would also spend a lot of his playing time at DH, a fairly new position that was somewhat looked down upon. McRae would embrace the role and some would say became a pioneer for the position. McRae was never one to be shy or not let his feelings known, and this would be one of those moments. Overall, McRae had a great season in 1976, as he would get picked for his second straight All-Star team and ended up fourth in the MVP voting. 1976 was also the first year that DH was his primary position. Things were definitely looking up for McRae. The rest of the 70’s McRae put up solid numbers, even if they weren’t quite at the peak of his 1976 season. 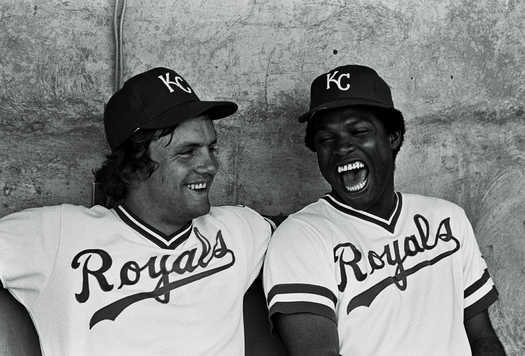 McRae would lead the league in doubles in 1977 and continued to be a solid run producer for the Royals. Hal would also be known for being an aggressive base runner. So aggressive in fact that the rule that states a runner must slide into second base to break up a double play is known as the “Hal McRae Rule”. McRae was known to cross body block infielders while sliding into second, which many players had learned to avoid. Injuries had started taking their toll on Hal starting in the late 70’s and continuing into the early 80’s. 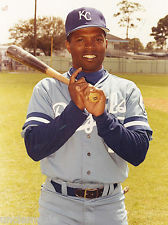 After appearing in only 101 games in 1979, McRae came back in 1980 and was a vital part of the Royals team that would make their first World Series appearance. He would lose close to 40 games to injuries that year, but still put up solid numbers that many had started expecting from him. After having a rough ALCS that year, Hal would have a very good World Series, hitting at a .375 clip, with 9 hits and an OPS of .923. It wouldn’t be enough as the Royals would fall to the Phillies in six games. 1982 would see McRae stay healthy, which helped him have a season that would rival 1976. Hal would hit over .300, put up his highest OPS of his career(.910), hit the most home runs of his career(27) and lead the league in both doubles(46) and RBI’s(133). The Royals would not make the playoffs that year, but it wasn’t because of Hal. This would garner him with another All-Star nod, a Silver Slugger Award, and fourth place in the MVP voting. 1983 would see another solid season from McRae as he would play in all but 5 games for the Royals that year. Injuries would return though in 1984 and so would the regression expected at his age(he turned 39 in the middle of the ’84 season). Hal would appear in just a shade over 100 games in both 1984 and 1985 and his hitting took a hit as well. McRae would hit about .260 for both the ’85 season and the ALCS that year, and with no DH in the World Series that year, McRae would see only pinch hitting duty. The Royals would finally get their first(and only) World Series title that year and luckily he got to be a part of that. But it had become apparent that he was nearing the end of his career. 1986 would be McRae’s last full season in the big leagues, appearing in only 112 games and hitting a paltry .252. 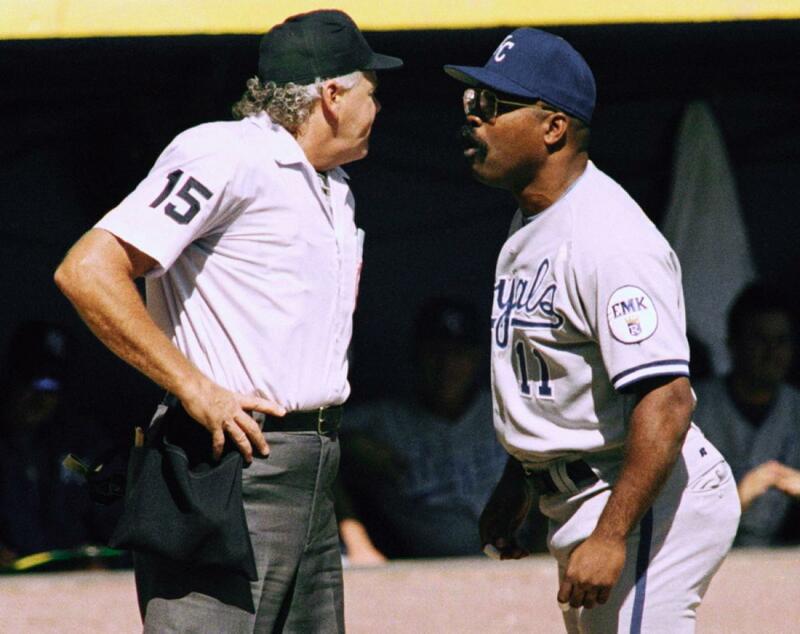 The man who had once been a major cog of the Kansas City Royals machine was nearing the end, and on July 17, 1987, he would play his final game in the majors. During his 19-year career, McRae put up some very strong numbers, numbers that even today he should be proud of. Hal would be a career .290 hitter, with over 1000 RBI’s and close to 500 doubles. He would rack up a career OPS+ of 123 and a career WAR of 27.9. Maybe his biggest accomplishment though was his embracing of being the DH and realizing that a career could be made just batting. As guys like Harold Baines and Edgar Martinez would do later on, McRae would not let injuries end his career and in fact helped him flourish. McRae helped make it easier for players to play the majority of their games at DH, as he showed that you could actually make a career out of it. Just epic. All these years later and people still flock to that meltdown. To clarify, McRae didn’t even think about pinch hitting Keith Miller for George Brett. Actually just typing that makes me agree with Hal. Who would pinch hit for #5, even late in his career? By the way, my favorite part of that is the twirly bird. Fantastic. McRae would manage one more team before it was all said and done, managing the Tampa Bay Devil Rays for a couple of seasons in the earlier 2000’s. 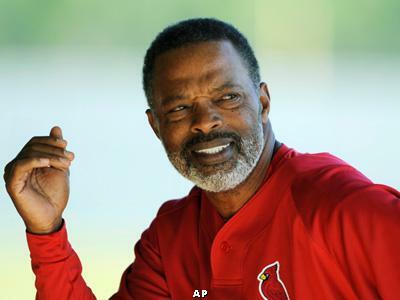 McRae would also show up as the hitting coach over the years for the Reds, Phillies and Cardinals and was St. Louis’ hitting coach in 2006 when they would win the World Series, McRae’s second ring. As far as I know, McRae is out of baseball now, but I can’t help but feel like he could help a team. 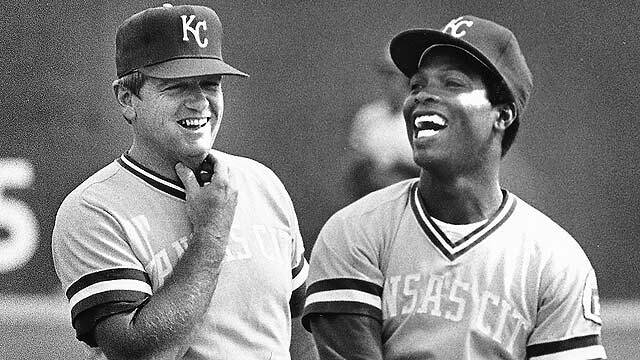 I hope when everyone thinks of those great Royals teams of the ’70’s and ’80’s, they remember that McRae was a big part of them and in fact they probably wouldn’t have gone as far without Hal. His tough as nails style rubbed off on his teammates and pushed them to be better. Between that and his being a pioneer for the Designated Hitter, McRae has more than enough to be proud of when looking back at his career. Good column on Big Mac!